“For the past 15 years, this event has given the community not only the chance to celebrate the lives of those who have battled cancer and remember loved ones who have passed, but it also empowers local residents to fight against this disease through their dedicated participation and fundraising efforts,” says Jeannie Cella, executive director of Wellness House. 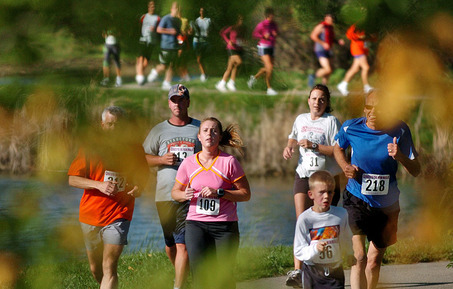 There is still time to get going with the Wellness House Walk/Run. Be a team captain and organize a team of family and friends to participate. Set fund raising goals for your team members and help Wellness House raise the funds it needs to continue to support the community. Register your team with your team name at http://www.wellnesshouse.org/, and encourage individual team members to register under the team name. Strive to get at least 10 members on your team. Start with your family, friends and co-workers. Inspire each team members to raise a minimum of $200. Some individuals have raised over $1,000 each year! Spread the word about the Walk for Wellness House! Use all contacts at area organizations and encourage them to start a team! Distribute event brochures and posters (available at Wellness House) around t0 area businesses, and include your contact information. Motivate Team members to be successful! Once the team is registered, hold a kickoff rally in your community to help generate excitement (share fundraising ideas, recruit more participants). Educate yourself on the programs and services offered free of charge at Wellness House. Join the Walk for Wellness House rain or shine! 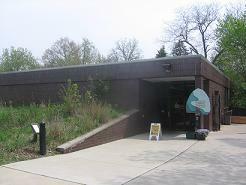 Each race will begin and end at Wellness House, 131 N. County Line Road in Hinsdale. A note to runners—this race will be a “fun run” and timing chips will not be provided; a large clock will display times for those interested. Visit http://wellnesshouse.donorpages.com/WalkRun2011/ to register by May 13, 2011. The $25 registration fee includes a long-sleeved t-shirt, entertainment, and refreshments. Please check-in upon arrival. 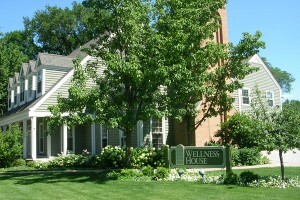 Wellness House is located at 131 North County Line Road in Hinsdale, IL. More information about Wellness House can be found on their website, http://www.wellnesshouse.org/.